and see the the world with an artist's eye! 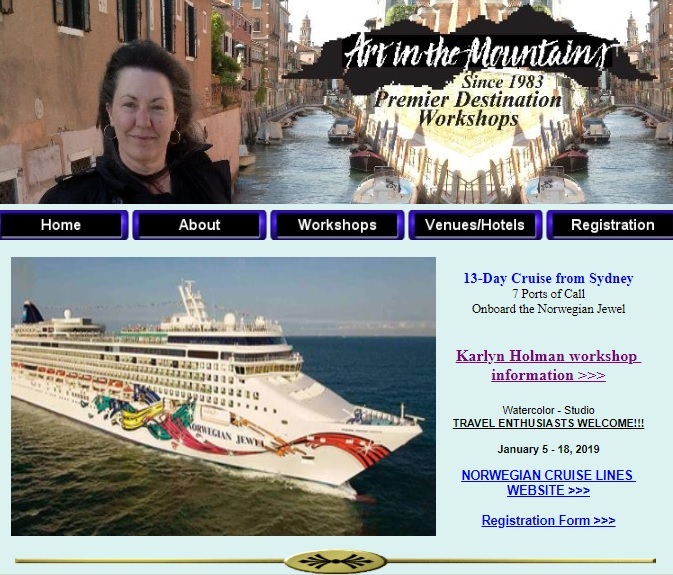 Join this cruise starting in Sydney, Australia and enjoy painting with Karlyn as you cruise from one georgeous place to another. Hosted by Art in the Mountains, see more information and enroll on their site by clicking the image below. Join Renee, Karlyn and the Good Thyme Staff for a “foodie” adventure in Southern Spain.  Fifteen days, April 4-18, 2019 (includes travel days). Food, art and culture! 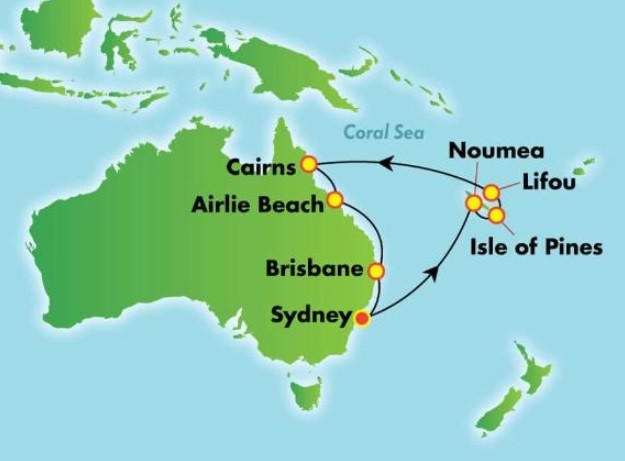 Join us for this fantastic journey. 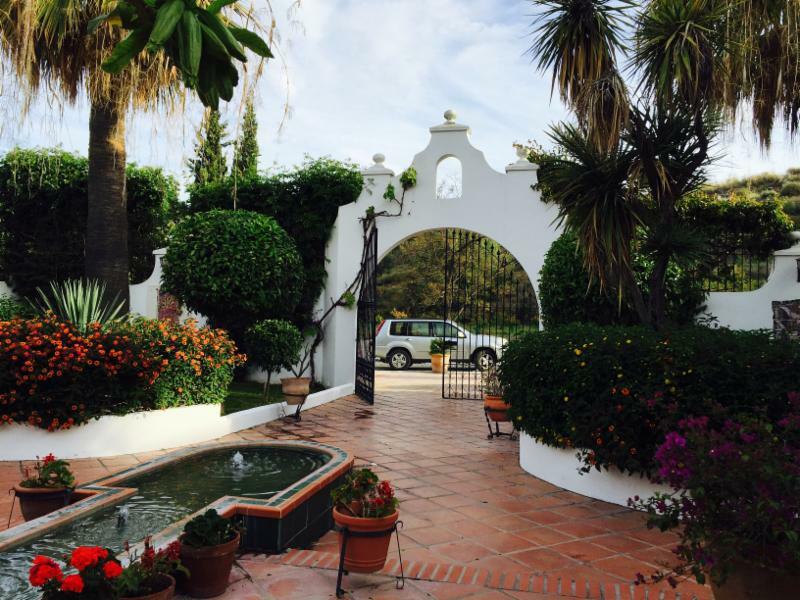 The trip will be hosted at the La Finca del Nino (Farm of the Child) in Benajarafe, Spain. LaFinca has three villas built in the style of a traditional Hacienda. Each villa has it’s own kitchen and private patios. The grounds are filled with flowers; a swimming pool; tennis court and walking rails. This rustic, charming working farm is set in ten acres, with the main crop being mango. We are perched on a hilltop overlooking the Mediterranean, which is about a mile and walkable. 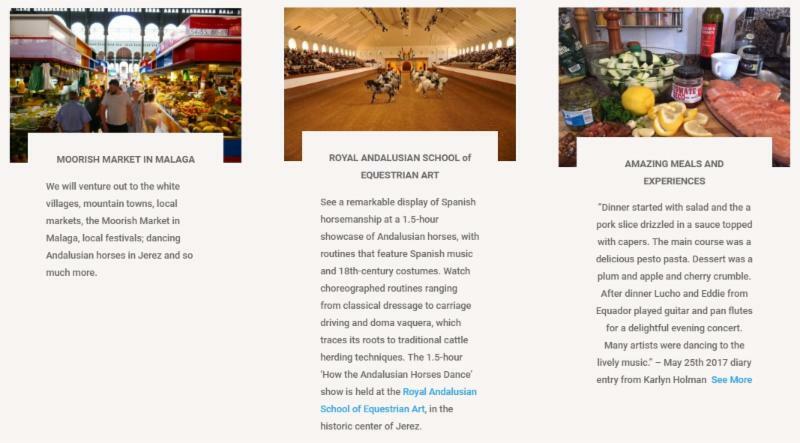 We will venture out to the white villages, mountain towns, local markets, local festivals; dancing Andalusian horses in Jerez and so much more. Another fantastic feature of this trip is the fabulous food. Denis and Sally, our hosts are foodies. We will enjoy superb tapas and local culinary specialities such as fresh sardines cooked over an olive wood fire; paella; an Argentine barbecue; fresh seafood; sherry-tasting; an olive mill; demonstrations of tapas-making; the Moorish Market in Malaga; goat-cheese factory and a picnic with the Virgin. While at the FInca, Denis has invited top professional performers to entertain us. We will enjoy Flamenco; Classical Spanish guitar and a duo of singers who play the pan flute and guitar. These performances will be at our villa after dinner. 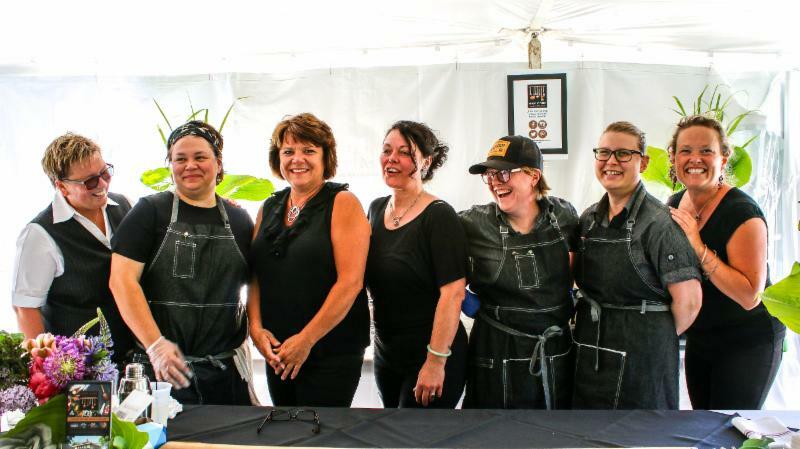 To see more information or to enroll visit the Good Thyme Restaurant's Website page, click here or on the pictures below. 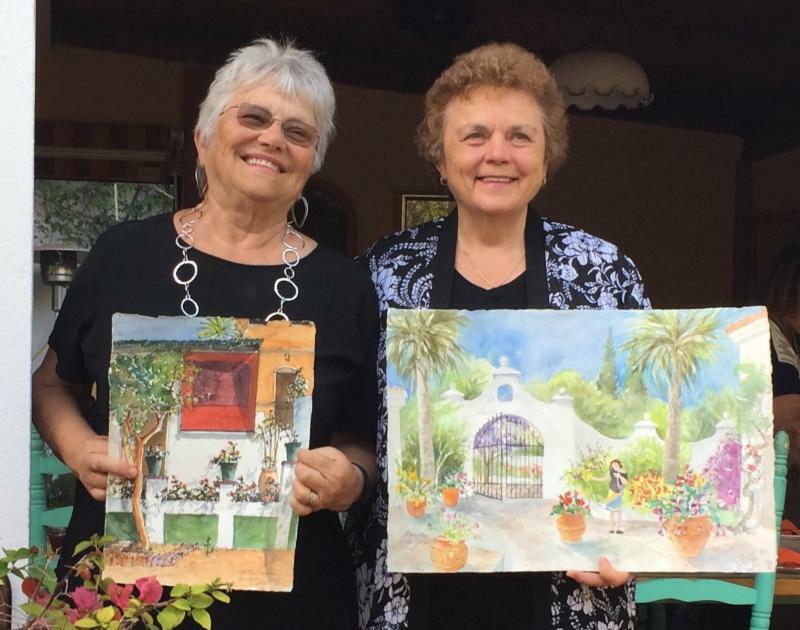 Join Karlyn & Bonnie on a watercolor workshop in the heel of the boot in Southern Italy. 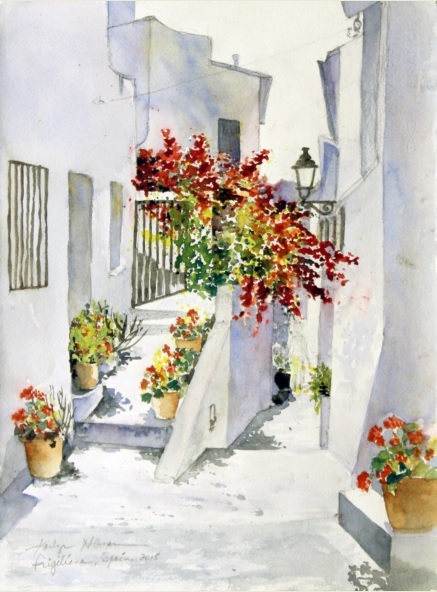 Paint & sketch; sight-see; explore “off the beaten path” places; enjoy unique Italian cuisine and be taken care of by our Italian host Giuseppe Rossi. This trip will focus on ancient populations and lost traditions in the cities of Puglia and Basilicata. We will also visit Lecce, a city revered like “Florence in the south” because of its Baroque architecture. The Greek influence in this area has made this city different from anywhere else in Italy. This trip will also focus on culinary traditions that are totally unique and less well-known. We will go to places off the beaten path. This trip is organized by Giuseppe Rossi from Class Acts Events Europe. *Guiding services by Giuseppe Rossi for the entire trip. 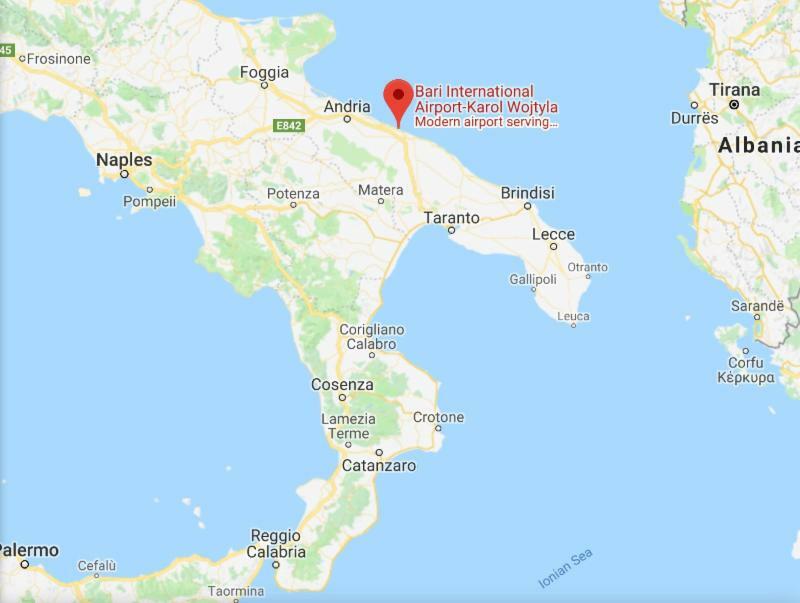 *Airfare in and out of Bari Italy. Call 715-292-1640 to inform Karlyn you are interested. in Southern Spain for seventeen days. and walking trails. This rustic, charming working farm is set on ten acres with the main crop being mangoes. 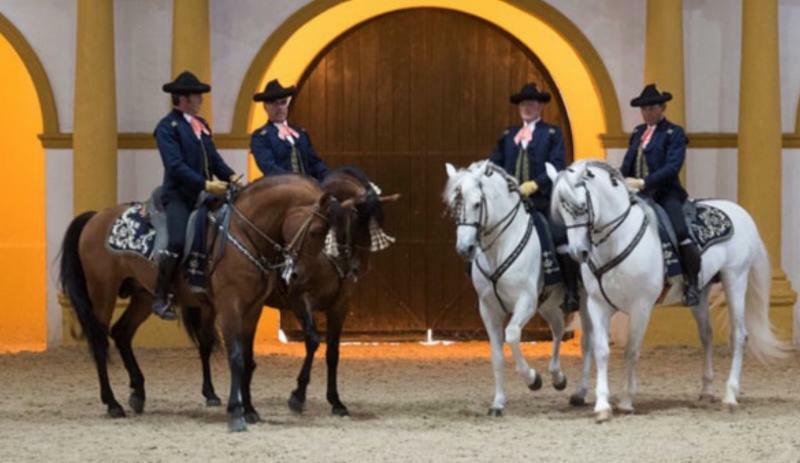 markets, local festivals, dancing Andalusian horses in Jerez and so much more. All painting levels are welcome, experienced or just getting started. · One overnight at the Carlos V in Malaga Spain on Sept. 6th. · Breakfasts and fresh croissants daily at La Finca. · All dinners, either at La FInca or at local restaurants. 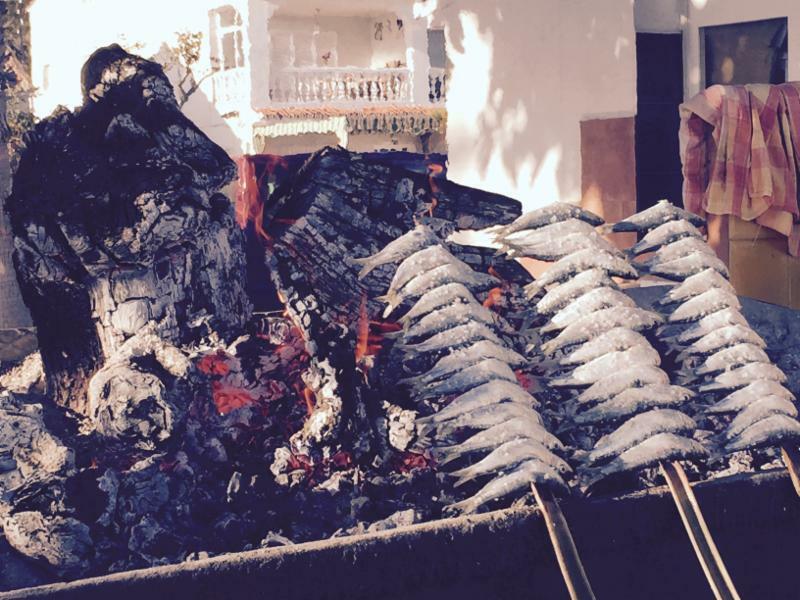 · Evening meal or following morning’s breakfast in Malaga, Sept. 6th. · Insurance for trip cancellation, baggage or health issues. Highly recommended. 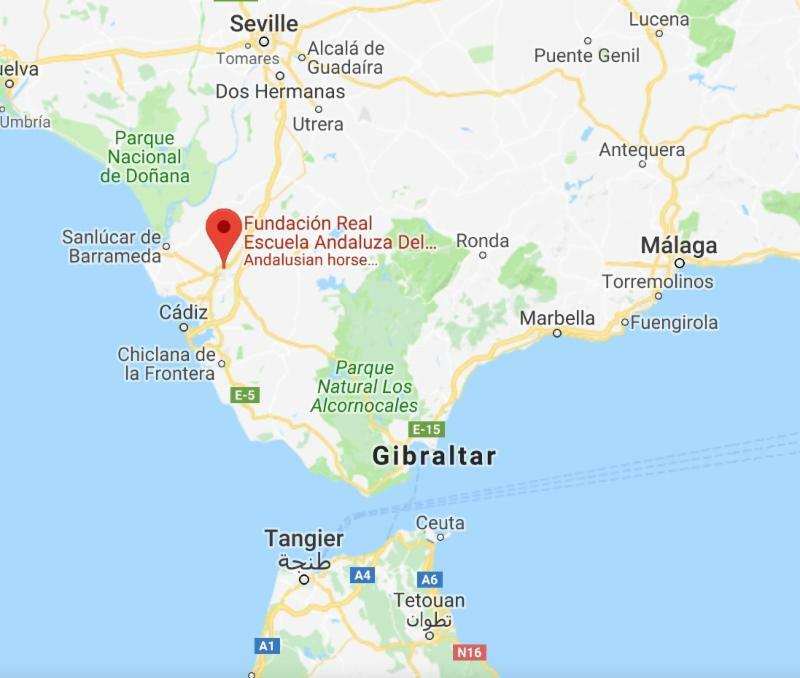 Click here to pay Spain 2019 deposit and reserve your space. 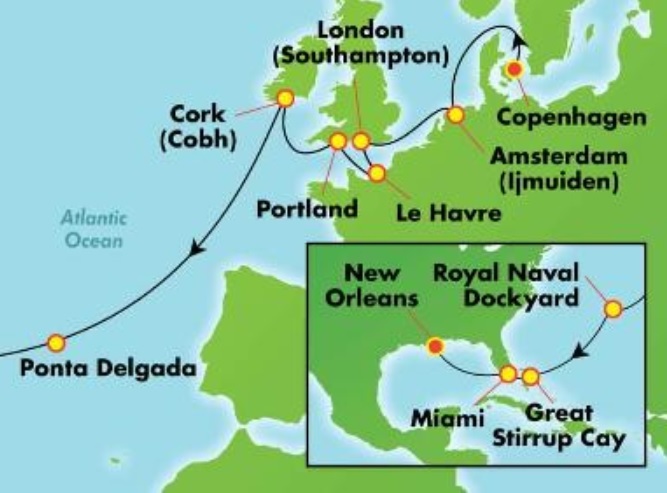 Join this trans-Atlantic cruise starting in Copenhagen, Denmark and end in New Orleans, USA. 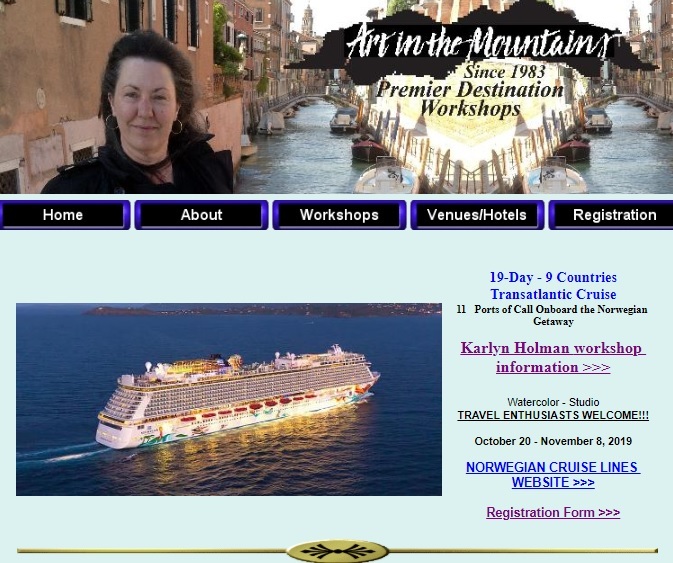 Hosted by Art in the Mountains, see more information and enroll on their site by clicking the image below. Hope you consider joining me in 2019. Please contact us if you have any questions.